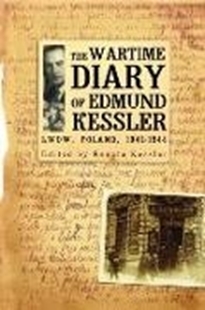 In "The Wartime Diary of Edmund Kessler," Dr. Kessler, a Jewish attorney from Lwow, Poland, gives an eye-witness account of the Holocaust through the events recorded in his diary between the years, 1942-1944. In vivid, raw, documentary style, he describes his experiences in the Lwow Ghetto, the Janowska Concentration Camp, and in an underground bunker where he and twenty-three other Jews were hidden by a courageous Polish farmer and his family. The book includes a chapter written by Kazimierz Kalwinski, who, as a teenager, was a care-taker for the hidden Jews on his family's farm. Edmund's daughter, Renata Kessler, coordinated the book and has written the epilogue about her search for the story, which has taken her to Israel, Poland, and Lviv, Ukraine. Renowned scholar Antony Polonsky contributes an insightful historical overview of the times in which the book takes place. A tremendous resource for historians, scholars, and all serious students of the Holocaust.